I loved Abby’s personality and spirit. I’m extremely sarcastic myself, so it was easy to relate to her in that way. Overall, she’s someone that I would want to be friends with. Her passion for her artwork was inspiring, and I enjoyed being able to see her transformation as an artist throughout the book. Her inner turmoil over her feelings for her best friend Cooper definitely made me emphathize with her, and because of how well Kasie wrote the novel, I was able to connect with Abby although I’ve never experienced the unrequited love that she is currently afflicted with at the start of the book. Her drive to finish her list is something I definitely applaud, because I don’t think I would be able to do that. Cooper and Abby’s friendship dynamic is totally goals. Aside from the whole unrequited love thing, it’s clear that they both care for each other a great deal, and their friendship seems like the one everyone would like to find. I was getting so frustrated while I was reading, because they were perfect for each other!! When Iris entered the scene and started going out with Cooper, I felt bad for Abby, but also thought it was a good relationship to introduce in order to further both her and Cooper’s story arcs. What annoyed me about her character is that the first time she flirted with Cooper was in line at the beach movie. Since she didn’t know Cooper or Abby then, he could’ve easily have been on a date with Abby for all Iris knew, and she flirted with him anyway. That’s not cool. Anyway, I shipped Cooper and Abby from the start. But then Elliot came onto the scene and made me doubt myself. Lacey was a really great addition to Abby’s story. Round of applause for strong, supportive female characters. Normally I comment on author’s writing styles, but with Kasie’s I didn’t feel like I was reading a book. What I mean is that her wording flowed so well that I felt as though I was watching a movie in my head with the characters. That’s my favorite type of book to read, and reminds me why I love to read. 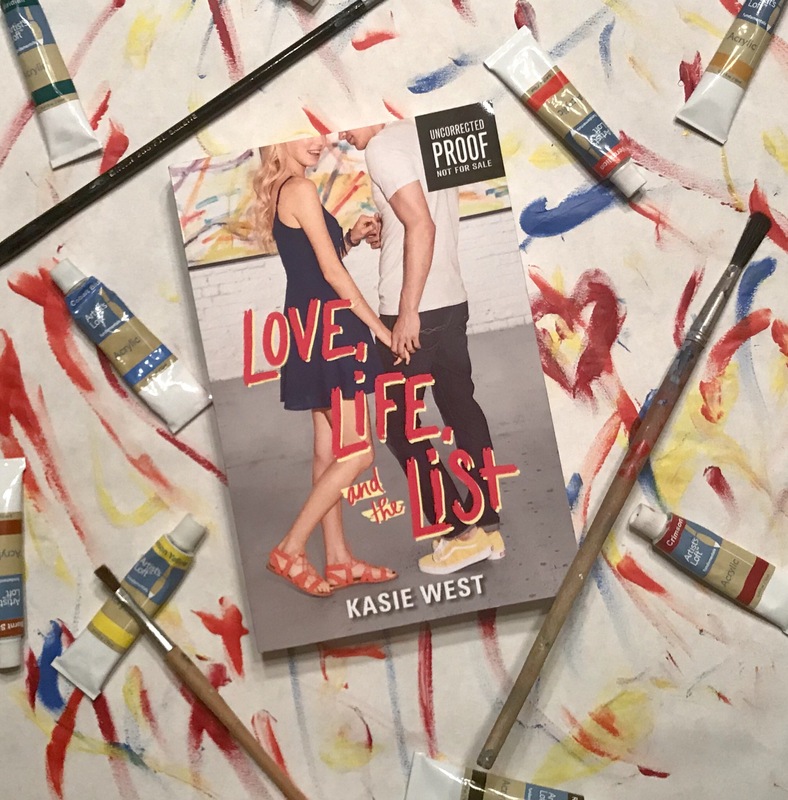 To become completely submerged into a story and for the characters to feel so real isn’t an easy feat, but Kasie West makes it look effortless. Overall, this was an amazing book and I’m so thankful that I was able to obtain an ARC from a fellow reader. Once it’s released on December 26th, I strongly encourage you all to go buy it! (Or even better, preorder it.). I can’t wait for ‘Listen to Your Heart’, Kasie’s next book to be released! ‘Love, Life, and the List’ will be released by Harper Teen on December 26th, 2017. See my Playlist for ‘Love, Life, and the List’! I think this might be my favorite Kasie West book too.